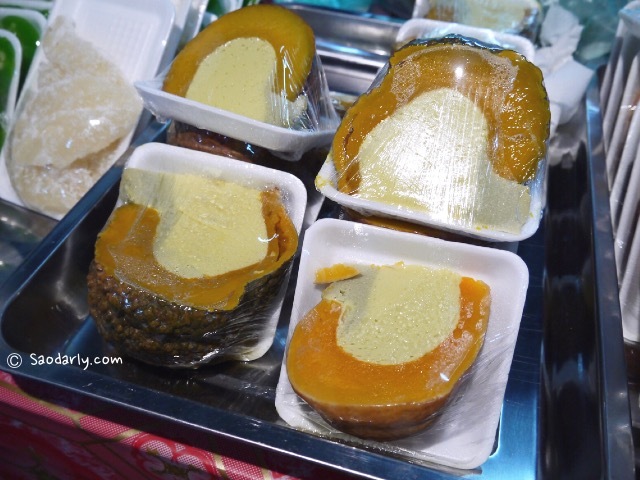 Buying some dessert ( ອາຫານຫວານ ) at Kok Pho Market ( Tala Kok Pho ຕະຫລາດກົກໂພ ), Ban Wattay, in Vientiane, Laos. 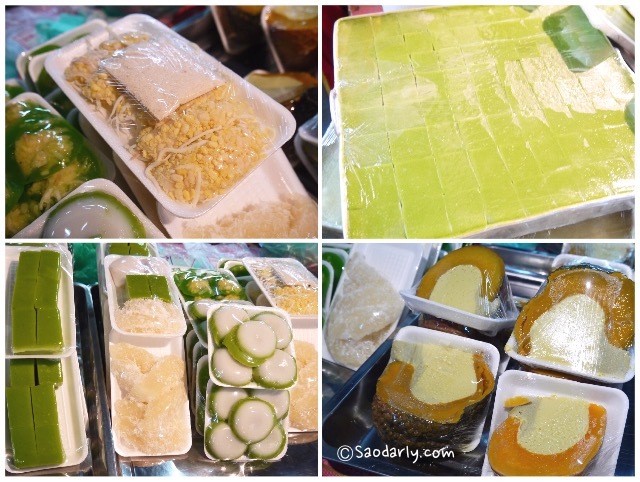 I don’t know all the names of the dessert but I bought at least one of each type to try out. 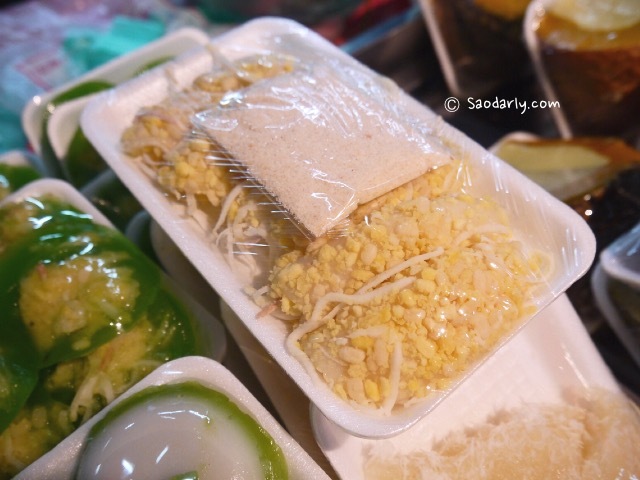 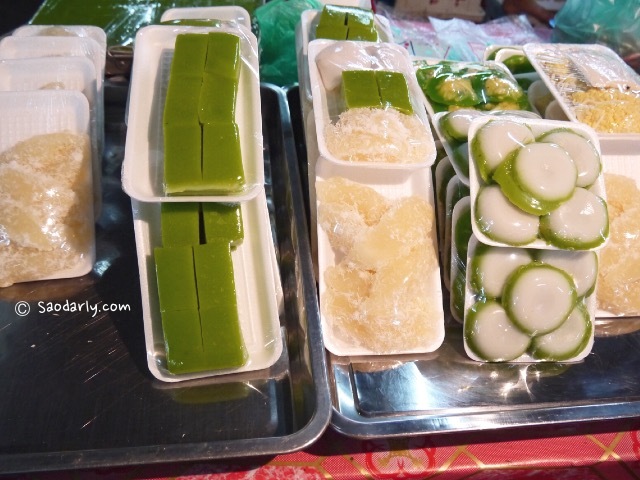 My favorite Lao dessert is Khao Pard Chun (Khao Nom Chun) and I bought several packages to share with my relatives. 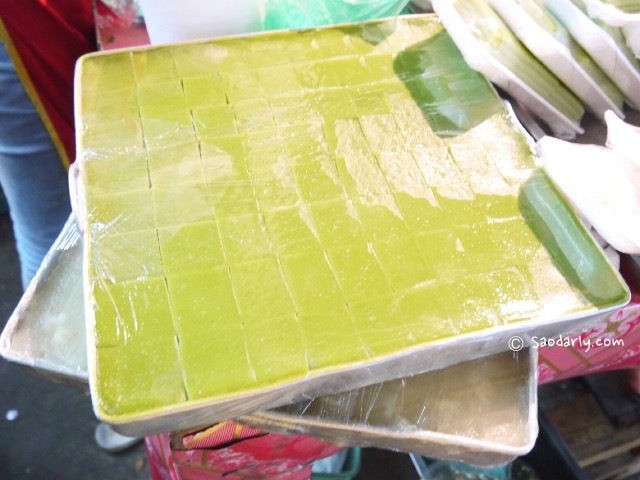 This dessert is known in English as Steamed Pandan Layer Cake.